Lawn irrigation is still not permitted between the hours of 10 a.m. and 6 p.m. from April 1 through October 31 (hand watering and soaker hoses are permitted). Several immediate changes can be made to reduce water usage while maintaining the charming, picturesque view of our Park Cities’ lawns and gardens. One of the most effective methods for water conservation is decreasing the number of watering days during the week, ensuring sprinkler use on alternative days while timing it during the coolest part of the day. Living in the Park Cities brings an exceptional quality of life, beautiful neighborhoods, excellent schools, and a dedicated source of a vital natural resource; water. 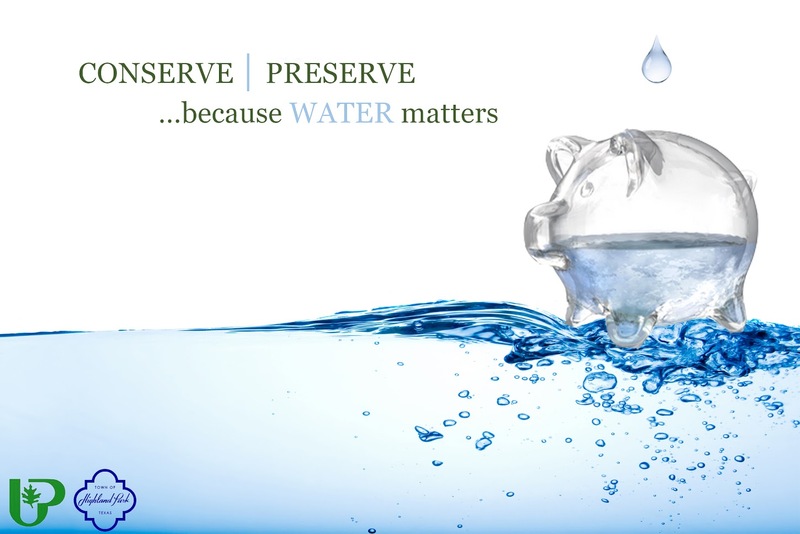 The Park Cities water quality and its abundant availability is one of our most vital assets. We all can do our very best to exercise a conservative approach to lawn irrigation and responsible water use during the hot Texas summers. Where do we get our Water? Our water is procured from the Dallas County Park Cities Municipal Utilities District (DCPCMUD) who maintains senior water rights in Grapevine Lake. Since Grapevine Lake is the sole source of supply for the District, and since that supply is of a limited volume, water conservation is vital to the Town and the District. DCPCMUD may initiate a drought response stage or water emergency that will affect Highland Park. The Town may also experience conditions independent of the DCPCMUD that triggers a drought response stage or water emergency. Most of Texas is under extreme drought conditions. The Town of Highland Park is currently under Drought Emergency Response Stage 1. The DCPCMUD advises Park Cities’ residents to implement prudent water conservation methods, helping us to maintain an adequate supply for our future. We are not alone in this. Water is in short supply in many parts of the United States. Monitor the drought here.